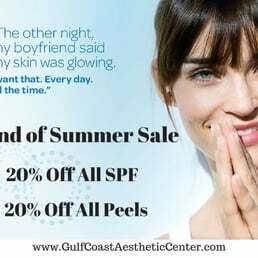 Gulf Coast Aesthetic Center was opened in 1989 and is one of the Mississippi Gulf Coast’s premier facilities for a wide range of cosmetic services. Our office is located in the medical district of Gulfport, MS, conveniently located for Biloxi, Gulfport and MS Gulf Coast residents, as well as those in the surrounding southern states. When you visit our office you are greeted by our friendly staff who are committed to making your visit and your treatment as comfortable and rewarding as possible. 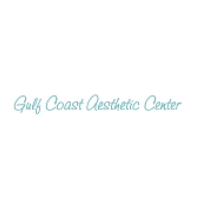 Genuine patient care is our main goal at Gulf Coast Aesthetic Center. We pledge to provide the finest personal service and facilities for our patients who will always enjoy a warm, relaxed, yet professional atmosphere. To ensure the best communication and treatment plan, we offer a free consultation for all of our cosmetic procedures. 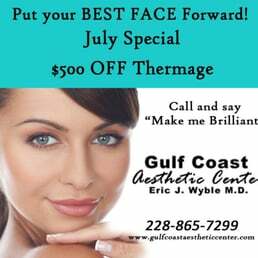 Gulf Coast Aesthetic Center offers the latest in nonsurgical options for your face and body rejuvenation. Dr. Wyble is the only physician in Mississippi that offers all three Fraxel lasers for skin resurfacing, Thermage for skin tightening and Liposonix, the only FDA approved device for deep fat elimination. We have a full service skin care center with two licensed aestheticians that are present to meet your needs and offer the latest in rejuvenation and maintenance services. Whether you are looking for a temporary or permanent improvement, our team will always listen to your needs and financial considerations and then match you with the best tools and procedures available. We are committed to providing you with both the personalized attention you deserve, as well as the highest quality available.